This style is a simple, flat construction, made with vinyl and cotton that is perfect for those who like to keep it simple, or for going out, having fun at a festival, or walking the dog. The vinyl body is unlined, which means it's easy-peasy to clean. The outside pocket is made with a cotton print, but lined with oil cloth (a thinner vinyl) to give it weight and durability. The oil cloth is random- which means it won't match, but it's a fun, colorful, crazy little secret inside your pocket! 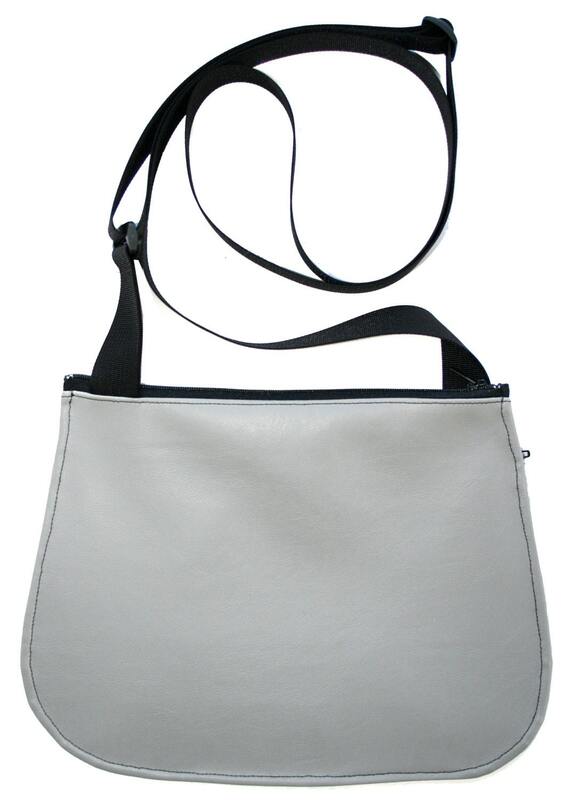 adjustable strap from 34"–62" ** size it to fit a child, wear it super long or short! So many ways! I accept PayPal and all major credit cards. Taxes are added for Texas residents. 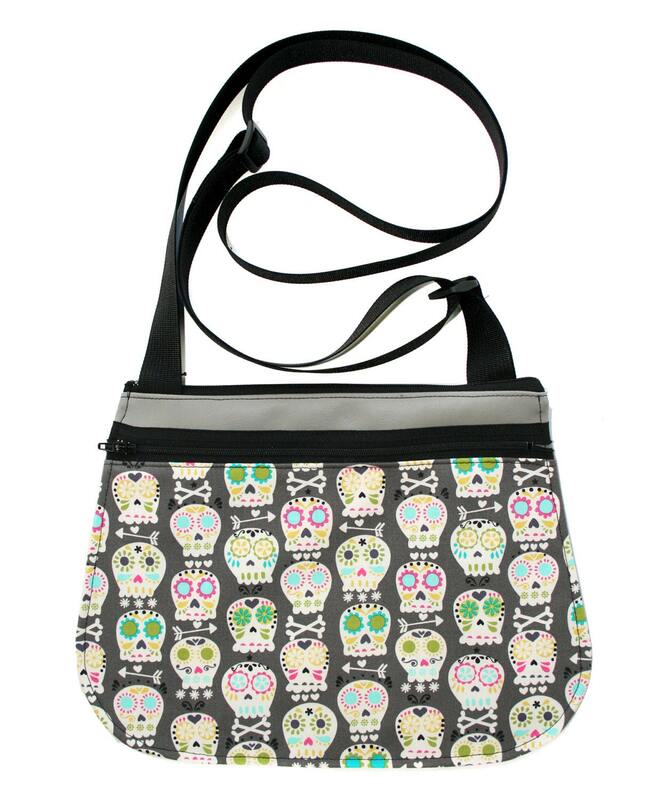 Most items are made to order, so I do need a little time to cut out and sew your new bag! If it's already made, I will get it in the mail as quickly as possible. If you need something faster than my shipping time of 1-2 weeks*, please convo me so I'm aware of it. 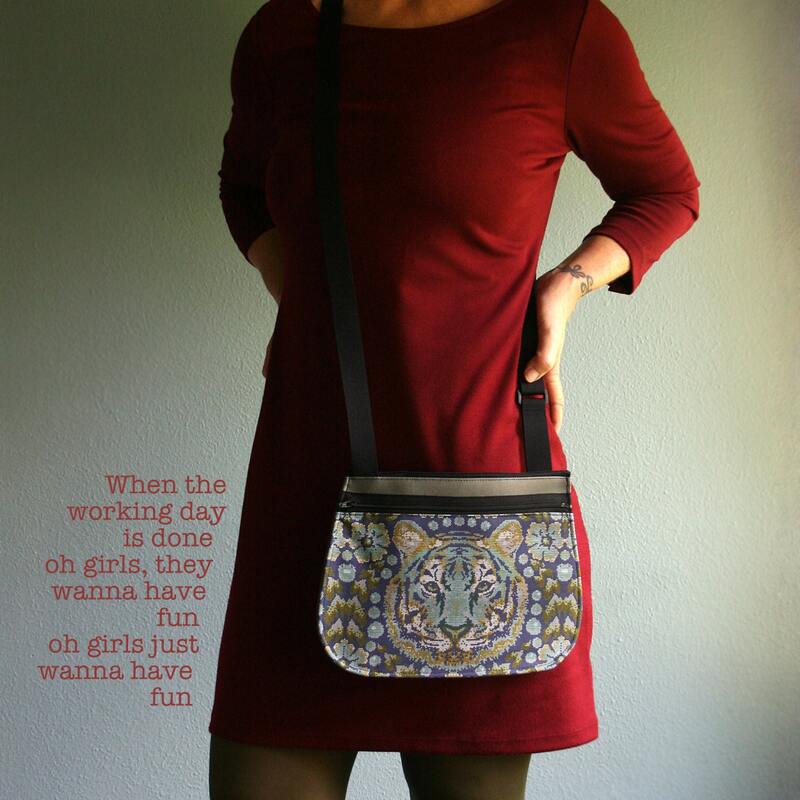 I appreciate your patience, it's only me running this show and I try to hustle, but I also want to make sure I have time to make the best possible purse for you. * Please remember the shipping schedule is 1-2 weeks beginning the day after the order is placed. You will receive an email with your usps tracking number as soon as it's on the way! Please contact me if there is any reason you want to return an item, and if it's damaged or flawed--- I really, really want to fix it for you! I try to run quality control over here, but sometimes I miss stuff! I do my best to make sturdy bags that can be loved for years. For exchanges, I ask that you pay for the shipping to return it to me, and for the shipping of the item you want in place of the returned item. 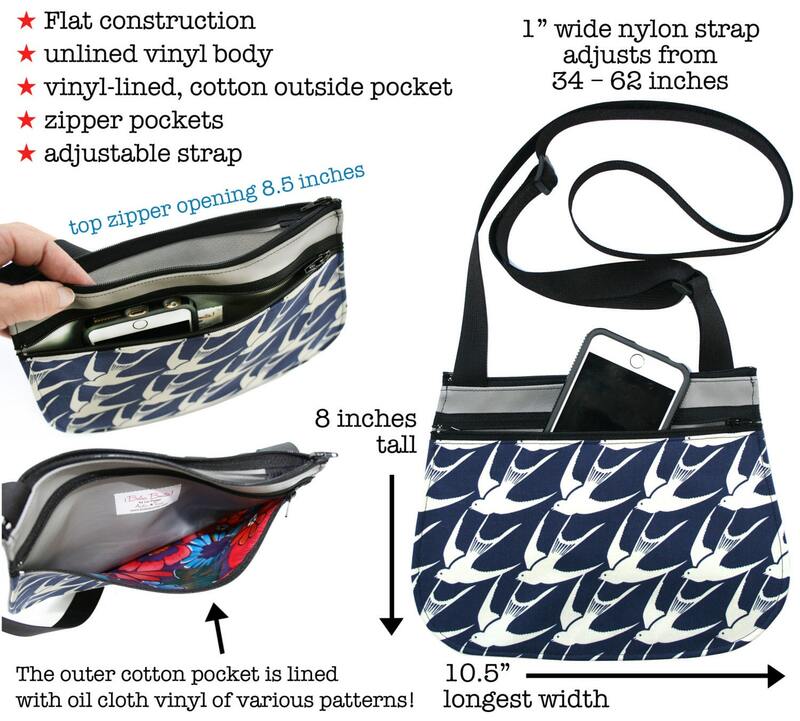 I do not do custom orders, but if you have a suggestion for a bag that falls within the designs I have, please feel free to contact me and we'll discuss it! I've had some wonderful ideas come from customers!